As a Professional Organizer, I sometimes wonder why I’m always in pictures with lovely blondes. Oh, yes — it’s because I live in Southern California! Thalia with Dr. Hope Umansky, Ph.D. of the California Institute for Human Science. 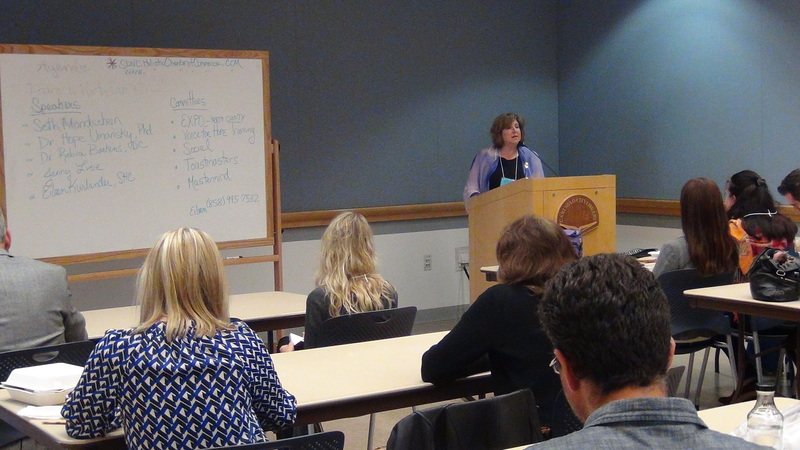 Dr. Umansky was a speaker at San Diego North County Holistic Chamber of Commerce. Organization is much more than being able to find your keys in the morning. To some people it’s an end unto itself. They simply love the look (and feel) of how their organized home looks. To others it’s more of a means to an end — a foundation so they can reach their goals. When someone has a ton of clutter on the floor in front of every closet it can mean they’re blocking themselves. I help them remove the clutter from the floor and also delve into what’s in it for them to keep it that way v. change. Why do they continue to block their own path? You can ask yourself that same question; then, build a new model for yourself. Eileen Kurlander, President of the San Diego North County Holistic Chamber of Commerce. An Educator who is passionate about CIHS’ premise that human beings are composed of biological, mental and spiritual dimensions. When I work with clients I do it holistically — working with their Body, Mind and Spirit. 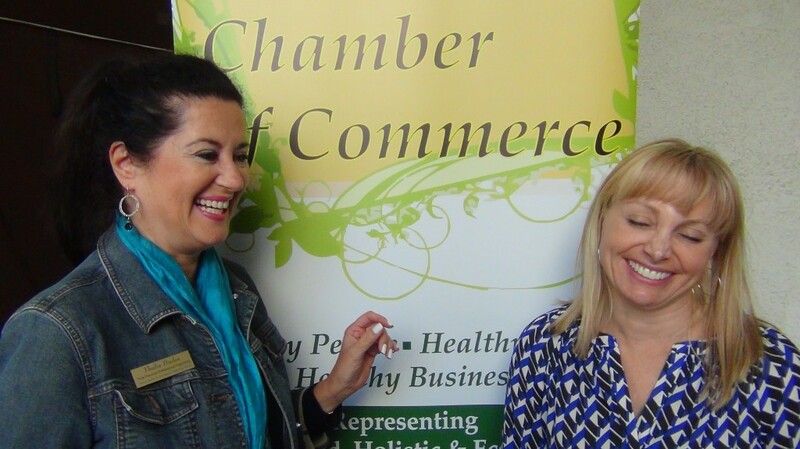 It’s a natural for me to be excited about the San Diego North County Holistic Chamber of Commerce, started by Eileen Kurlander, Chapter President. She’s providing some amazing speakers and a venue for like-minded members to come together.